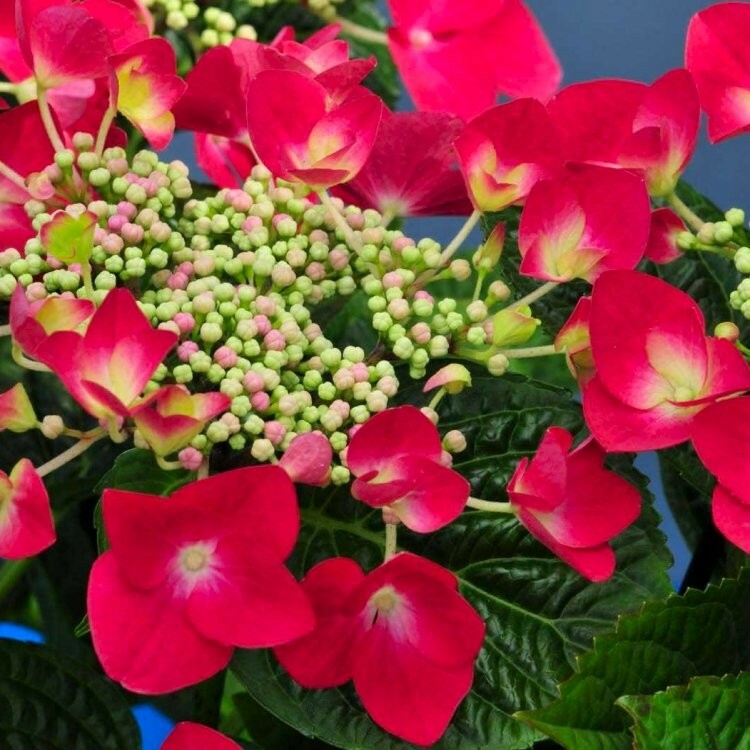 This large deciduous Hydrangea shrub has dark green leaves and deep red flat lacy flower heads. The individual flowers that make up for florets fade to pale creamy white at the centre, creating an unusual glowing bi-colour effect. Flowering from early Summer through to Autumn, the flowers provide a bold attractive colour to any garden and are ideal to suit any position in sun to partial shade. Preferring a moist retentive soil, it will also look good in a large patio planter for the summer. Supplied in approx 5 litre containers.